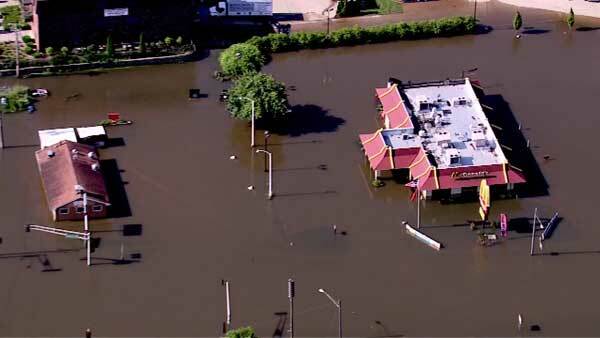 WATSEKA, Ill. (WLS) -- Days after heavy rains flooded waterways, more than 100 Watseka residents are still homeless as they wait for flood waters to recede. The Iroquois River and Sugar Creek came out of their banks, causing widespread floods in Iroquois County. Police are patrolling the vacant homes in police boats in the community, located about 90 miles south of Chicago. The evacuees are staying at a Watseka church with help from the Red Cross. The water in both waterways finally starting to recede Wednesday, dropped several inches.